Hi my name is Ironman. I was born the year that Ironman the movie came out and Miss Rosemary thought it was a good name for me because I am such a strong boy. 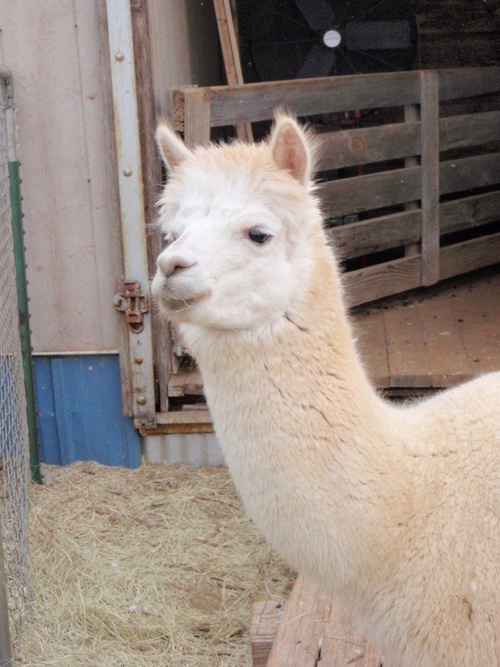 I am a big alpaca but very gentle too. I am curious and love to check out what's going on around the farm. I stand very proud and Miss Rosemary tells me I am very photogenic.